. : E-Z Summer Technique Training :: Ski XCOttawa.ca :: Skiing in Ottawa and Gatineau Park :. So it’s late summer, and you are well into your summer activity routine: biking, walking, running, swimming at the cottage – whatever it may be. But in the back of your head, there’s the winter, where your real passion lies: cross-country skiing. You’re not a racer, but you love skiing, and you yearn for it as the summer dankness settles into Bytown. And you wish, as you do every summer, that there were some things you could do now that would improve your technique and make you more comfortable on skis come the winter. There are things you can do. And for the most part, they’re easy and they will integrate right into your summer routine. And, good grief, you don’t have to rollerski. Here are five easy, time-effective exercises that will improve your ski feel and leave you miles ahead of the Tuesday evening ski-into-Keogan-and-drink-wine-late-into-the-night gang. This is the key to both techniques, and can be as effectively practised on skis as off. Being able to balance means you can glide with all your weight on one ski. This is key both to relaxing (and therefore not panting for breath on Tuesday nights), and to going fast, as gliding on one ski allows you to effectively push off that ski onto the other ski and forward. To practice balance, you can use a wobbleboard (flat board with a half-sphere or triangle in the bottom middle, making it tough to balance), or you can use a picnic table, or you can just use a flat surface. If on a flat surface, stand on one leg and try various body contortions for a while – my favourite is the airplane, with the other leg straight backwards and torso bend forward, hands stretched outwards. With a picnic table, you can try standing on one leg and squatting with that leg, keeping the other leg locked. Maintaining a natural armswing can ingrain solid poling technique. 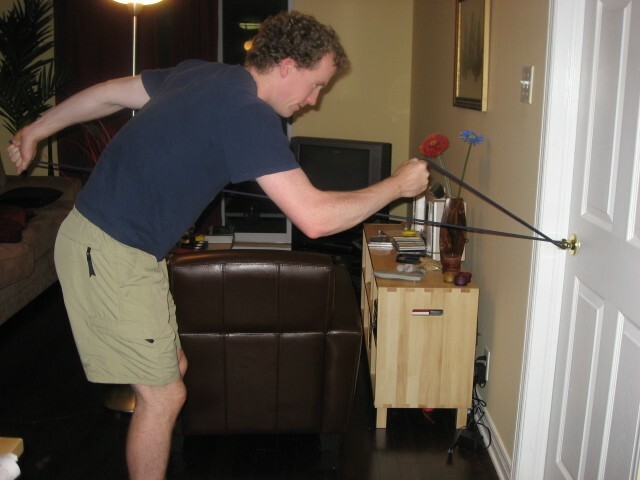 Use an inner tube tied around a pipe or bar (ie in your basement), or use a special poling thing. Either way, get your arms swinging so they’re shoulder length apart and reached forward at the start of the pole, swing through the hip with your hands, and follow through with a pole release. (See Videos) The resistance should be slightly tiring. You should do this regularly until the movement feels natural and looks smooth (yes, this may involve a mirror). This is all the rage in hip Scandinavia. Get some poles of (hopefully) shorter length than your regular classic ski poles. Go for a walk or a hike in hilly terrain. Use the poles as you would ski poles. If you can, try to mimic the skiing action rather than simply walking. 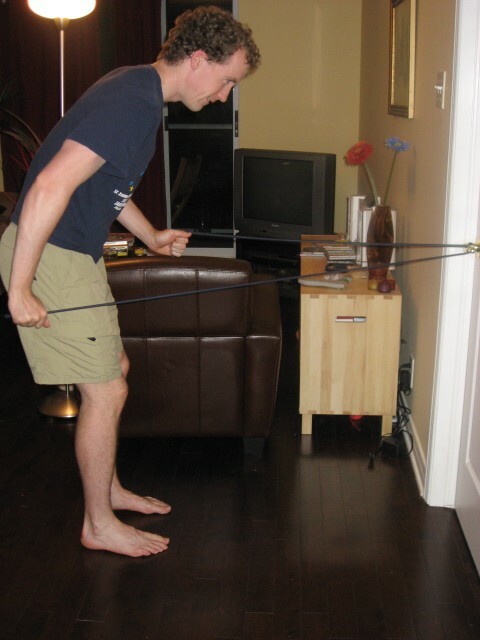 This involves driving the knee and rotating the hip further forward that you normally would for walking. It involves more forward lean, and a long stride, with knees slightly bent. Remember to push off the foot like you’ve got grip wax on your ski. Here's a few tips and a video. Do some stomach crunches and some back-ups (pictured). 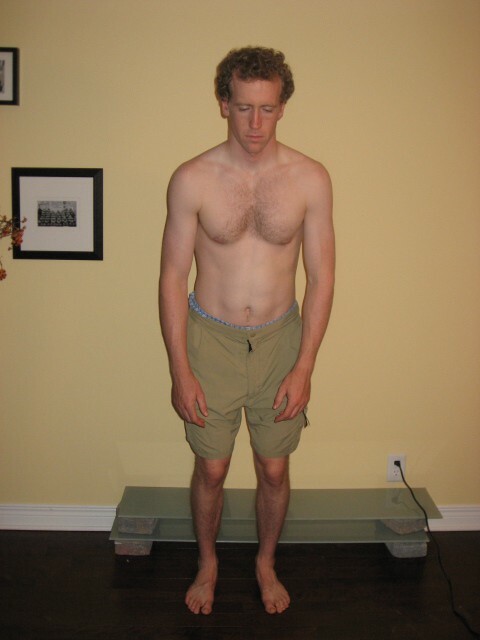 As well, try some front planks and back planks (also pictured). The key with the planks is to keep your whole body in one straight line. Not as easy as it looks! Some core strength and stability will let you activate both your arms and your legs during the winter, and contribute to increased balance on skis. This should be part of your regular exercise routine. Here's a few more ideas. Once in a while, even if it’s at the office or during a coffee break, try and get into the correct ‘relaxed’ body position for cross-country skiing. 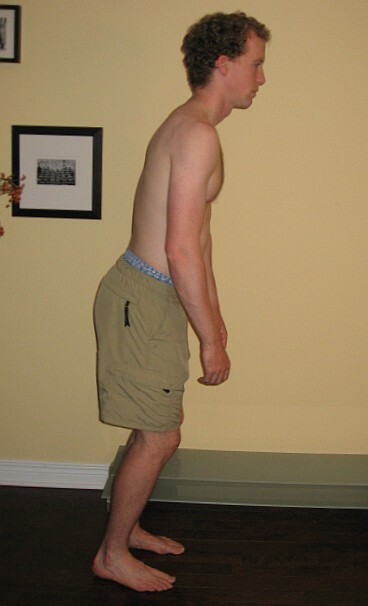 A relaxed body position will set you up for correct ski posture. This involves shoulders slumped forward, hips thrust slightly forward, knees slightly forward, and balancing on the balls of the feet. Try making that position feel comfortable. Have a look at these tips too. If you go to a gym, do some very general strength exercises that involve a lot of joints and muscle groups. This includes squats, dead lifts, and the bench press. (A few more ideas.) Increasing your maximum in these areas will give you a better strength base to begin your ski season with. All of these things will improve your skiing. In addition, you should, of course, be maintaining your z1 base regularly, by engaging in a lot of low-intensity activity. Workout of the Week: Intervals: 30-30's...FAST and FUN! Workout of the Week: Gatineau Loppet is over, time to recover! Training: Mini-Vacay in the La Cloche Mountains!